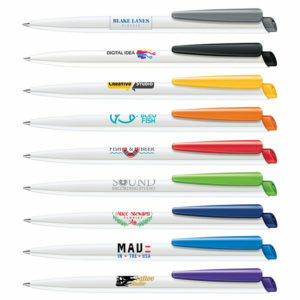 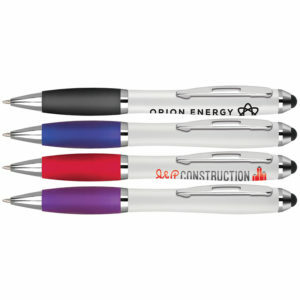 This classic best-selling retractable ballpen offers a large full-colour wraparound branding area. Digitally printed full-colour photo quality. 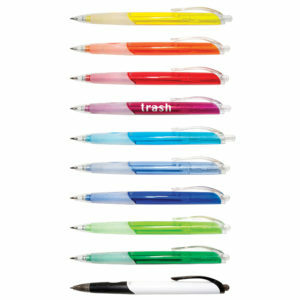 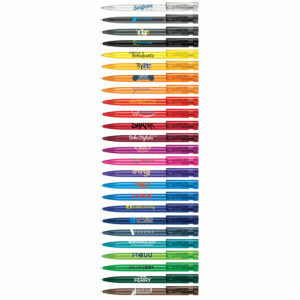 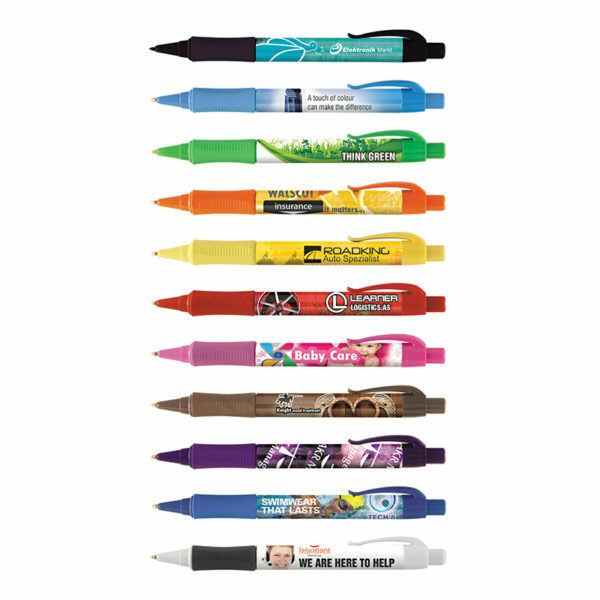 Available in 11 vibrant trim colours with colour co-ordinated rubber grips and a choice of blue or black writing ink.